The XMRE Lite is freshly packed with 600 to 900 calories of the best components on the market. 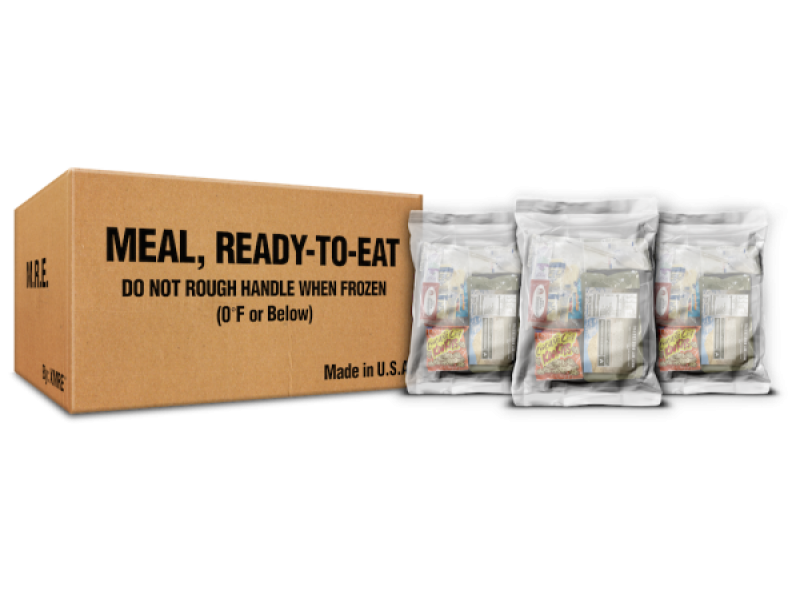 These lightweight and waterproof XMREs are the perfect option for outdoor enthusiasts, emergency preparedness or anyone who is planning to be in a situation where they need food on the go. 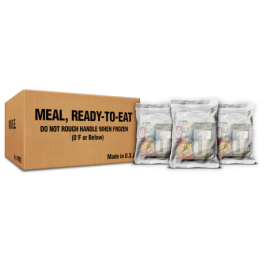 FLAMELESS RATION HEATER IS INCLUDED IN EACH MEAL Each XMRE Lite contains: Entree, bread item, spreads, snack or dessert and an accessory kit including hot sauce, spoon, napkin, condiment kit, and moist towelette and an optional flameless ration heater (FRH). All components are packed in high-density water and tamper proof clear outer bag and embossed with a lot number (pack date) on each bag and case. COMPONENT DETAILS: Entrée: Variety of beef, chicken, pork or vegetarian options. Bread Item: Crackers, breads or tortillas. Spreads: Peanut butter and jelly Snack: Nut raisin mix, dry fruit mix, corn nuggets or others. Dessert: Brownies, dessert cookies or others. Accessory Kit Includes: Spoon, napkin, salt, pepper, hot sauce and moist towelette.